Investing is frustrating. It can be confusing to know which investments you should choose, and when and how to rebalance your portfolio. Until now. Find out how this investment management tool can help in our Personal Capital review. For many investors, a robo advisor makes sense–everything is done automatically for you. But what if you’re at the point in your financial life where you need just a little bit more? That’s where Personal Capital’s Wealth Management service comes into play. Designed for individuals with a slightly higher net worth, Personal Capital combines amazing software with robo advising, plus adds in the benefit of having a live investment professional to guide you. 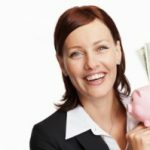 In this article, I’ll review Personal Capital’s Wealth Management service in detail so you can decide if it meets your needs. Personal Capital was founded in 2009, and in the personal finance community, was always known for its amazing money management software (which you can still get for free). Slowly but surely, the word got out about Personal Capital’s Wealth Management solutions. That’s what I want to talk about with you today. Their platform is different than other traditional robo advisors because they utilize a computer algorithm with experienced investment professionals. So the algorithm determines your initial portfolio, but it’s overseen and managed by an investment advisor. As of this writing, Personal Capital has 1.8 million users tracking over $550 billion in assets. 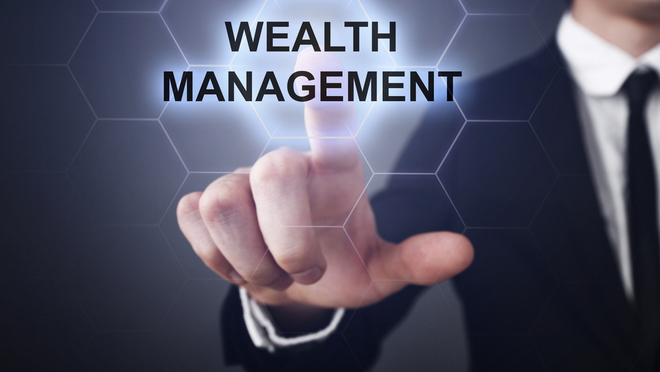 On the Wealth Management front, their advisors manage over $7.5 billion (yes – BILLION) in total assets. This is no small boutique broker, folks. Objective – they give their clients objective financial advice, not advice that will line their own pockets. Holistic – with access to their free software, you can take a holistic view of your money instead of focusing just on assets you carry (or don’t carry) with Personal Capital. Transparent – everything they do is transparent, including transparency on the costs to you as the investor. Dedicated – their advisors are dedicated to their clients and don’t want to make investing a poor experience. Strategic – they’ll find cost-effective solutions that align with your long-term financial goals. Personal – this is more than a robo advisor. Personal Capital pairs algorithms with human beings to give you an extremely personalized experience. Personal Capital’s algorithm utilizes MPT (Modern Portfolio Theory) to select investments for you. MPT was published by a guy named Harry Markowitz in the 1950s and he eventually won the Nobel Price in 1990 for the concept. Its basis is that you invest in the lowest-risk assets possible, given your targeted return. Obviously, he won the Nobel Prize, so it’s much more complex than that, but Personal Capital uses the theory to construct the lowest-risk portfolios possible based on a desired return/risk level. Utilizing a roboadvisor approach, Personal Capital’s algorithm will automatically rebalance your portfolio whenever it gets too far out of whack. Rebalancing is critical, and this is a service that saves you time and money. They’ll also help you reduce costs by directly investing in stocks instead of ETFs or mutual funds. Finally, you’ll get tax-loss harvesting, which is an automatic feature that reduces your taxes based on the trades that occur within your portfolio. Roth IRA – an excellent option for anyone, allows you to contribute taxed money each year and enjoy tax-free earnings and withdrawals at retirement. Traditional IRA – free from income restrictions, a Traditional IRA allows you to take advantage of tax credits for your contributions in the year you contribute, but you have to pay income tax when you withdraw money in retirement. Joint accounts – this is a joint taxable account and can be used as a savings account (which is what a lot of people do nowadays, since you can choose a low-risk portfolio). Individual taxable accounts – I would recommend opening one of these once you max out your 401(k) and IRA. A taxable investment account is a standard account that allows you to buy and sell stock, but you’ll be taxed at the normal rates (i.e., you’ll pay capital gains tax). 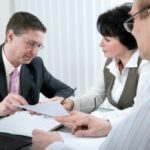 Trusts – if you need to establish an account for certain situations or certain people, a trust is a valuable asset to have. While Personal Capital does not offer 401(k) or 529 savings plan accounts, you can get advice from their algorithms and advisors. Since these are managed through your company in most cases (401(k)) or the state (529 plans) there aren’t a ton of options for brokers like Personal Capital. Providing investment advice is a huge value-add though, because usually, these types of accounts come with none. Top-notch wealth management software – anyone can use Personal Capital’s financial management software, but it’s a great feature to have when you’re carrying your investments with them, too. The features are robust and it’s hands-down one of the best budgeting/financial tools out there today. Socially responsible investing – Personal Capital now offers a SRI (socially responsible investing) strategy as part of their algorithm. Many brokers still don’t offer this type of feature, and it allows people who want to put their money into companies that back ethical causes a reality. In fact, you can fund your entire portfolio around socially responsible companies with this strategy. Tax-loss harvesting – tax-loss harvesting is a feature that knows when to sell an asset because it has experienced a loss. When you sell an asset (stock, in this case) that has lost value, those losses can help offset the taxes you’ll pay on gains in your portfolio. Keep in mind, this wouldn’t help you in a tax-protected account like a Roth IRA, but with a joint account or individual taxable account, you could end up saving thousands. Advice for non-Personal Capital accounts – companies like Blooom will charge you to manage your 401(k), which is a helpful resource. While Personal Capital can’t manage your 401(k) directly for you, they can provide advice on how to manage it–and that’s included in the cost you’re already paying for their wealth management services. I like this because you don’t have to pay another company who may give you a different strategy than you’re already going with for your primary assets. The hybrid-robo advisor model – Let me clear the air on this–Personal Capital is already making money off of you by you investing your assets with them, and they charge a flat rate for that (as I showed you above). The benefit is that it’s a sunk cost, so they have no incentive to try and up-sell you on either a strategy or an asset that you simply don’t need. Their advisors are there for you through online tools and resources, as well as personalized advice via phone, web conference, chat, or email. If you need investment advice, you have it at your fingertips. They supplement this with a robo advisor algorithm so you get the best of both worlds, and it’s well worth the cost. It’s expensive – For the highest net-worth clients, the cost is the lowest and that most likely isn’t an issue for someone with that much money to be managed. But for most people who want to get into the game, Personal Capital is very costly. You have to have $100,000 just to start, and their lowest tier pricing starts at 0.89% of total assets. That means, at a minimum, you’re paying $890 for investment advice and wealth management. The barriers to entry are high – If you’re a new investor with less than $100,000, you’re out of luck. The minimum amount that you need to have is $100k, so if you don’t have that you’re stuck looking elsewhere. 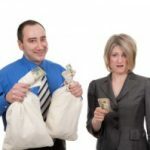 Then you have to worry about the hassle of transferring your assets over to Personal Capital once you have enough to meet the minimum requirement. This usually isn’t too bad, but it’s just a series of extra steps you need to take. If you really like Personal Capital as much as we do, think about this before you move forward with another company. Account types (for active traders) are limited – If you’re into trading cryptocurrency or forex, you won’t find what you’re looking for with Personal Capital. You also won’t be happy if you want to select each and every investment in your portfolio since Personal Capital uses a robo advising algorithm to choose investments on your behalf. If you have over $200,000, though, you can pick individual stocks, it’s just not conducive for day traders. Who Personal Capital is Best For? You have at least $100,000 to invest. This is the account minimum, so unless you have $100k, you’re out of luck. You have a high net-worth. The higher your investable assets, the cheaper Personal Capital becomes, and the more features you’ll have access to. If you have money to invest you’ll love this service. You are okay giving up control. If you’re a control freak who wants to pick every investment, you’ll struggle here. If you want a hands-off approach though, with the added benefit of a human advisor, you’ll benefit greatly from Personal Capital. You want tailored investment advice at your fingertips. If you like to do your own research and don’t want advice, this isn’t for you. But if you want personalized investment advice through a variety of means (email, chat, phone, etc.) Personal Capital will be a great partner for you. Betterment was one of the first (and is still one of the most popular) robo advisors. They’re significantly cheaper and don’t have the account minimums that Personal Capital has. Where they lack is the personalized investment advice that Personal Capital offers–they’re simply a robo advisor that will manage a pre-balanced portfolio for you at different levels of risk. You can read all about Betterment in our review here. Ally Invest does have a robo advisor option, but in my opinion, it doesn’t compare to Personal Capital or Betterment. When I would recommend Ally Invest is if you don’t want a robo advisor and instead want to have more control over your investments. Ally Invest has some of the lowest fees in the industry and has a huge selection of ETFs to choose from. If you want more control over your investments, this might be a good option for you. Overall we love Personal Capital Wealth Management. It’s slightly more expensive than some of the other options we’ve recommended, but we feel the cost is worth it (if you meet the minimum requirements). They offer a lot for the cost, and the addition of a real investment advisor is great. Plus, you’ll be able to use some of the best personal finance software available.